Nice spicy black fruits, Christmas style wine, very slight floral elements. Soft sweet brightness, smooth and long, nice and velvety and rich, nicely balanced sweetness. 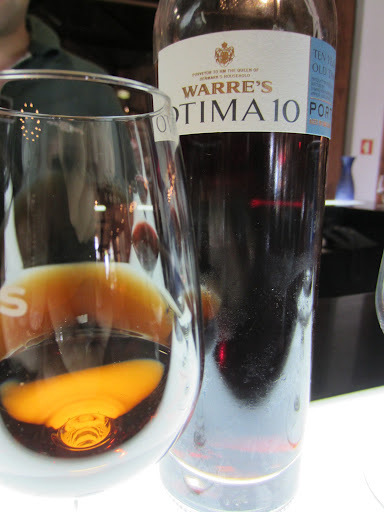 Brightness, sweetness and really approachable, exactly what you want from a ruby port. Nice ruby creamy bright nose, showing some nutty characters, quite concentrated. Rolling flavours, quite complex, sweetness of ripe red fruits with a very creamy nutty texture, showing some nice characters of maturity, robust and full on the palate, good acids tying things together. Very subtle and smoky caramel. Crisp fresh and bright amazingly, tight and oxidative almost like an amontillado. Very intense and note really that sweet until very late on the palate. A very unique port wine. Colour already starting to tawny up in colour. Almost like an old wine rather than an old port, fresh soft focused not sweet vey much, smooth yet brisk, showing its age.